Summary : Experience with various media formats: Fiction, Drama, Documentary, current affairs/news, entertainment, corporate communication, commercials etc. 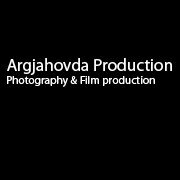 Specialties: Filmeditor, Color Grader and Photography. Worked with following systems: Avid, Final Cut Pro and DaVinci Resolve. Avid Certified User (ACU)"users" of Avid editing software know how to best utilize the many strengths of their systems. ACU programestablishes a professional standard for Avid editing system proficiency in the post-production industry. Certification is achieved by mastering a comprehensive set of skills on the Avid editing system and passing a rigorous exam.